Yakutia Airlines is an airline based in Yakutsk, Sakha Republic, Russia and operates domestic passenger services in Russia, as well as destinations in Europe, Asia, and North America, has partnered with AK-Service to launch new colorful Children’s kits on board. In a capacious pouch, little passengers will find a puzzle, an activity book with entertaining tasks and multicolored visiting cards. 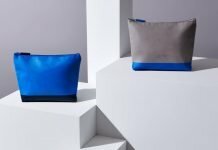 Developed by AK-Service, the new amenity kit will enrich every travel and ensure that families with children have a good time on board. Creation of these kits was inspired by the remarkable nature and culture of Yakutia. Polar lights are the main accent of the components of the kit which, combined with the memorable characters, will hold the attention of the little passengers, and stimulating tasks will keep them occupied during the whole flight. 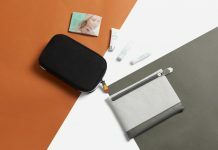 The kit is packed in a colorful pouch, useful not only during the flight: capacious, but at the same time compact while bundled, it’s a perfect place to keep the children’s small things. The kit comprises a puzzle and multicolored visiting cards, which kids can exchange with each other, and an activity book with entertaining tasks.